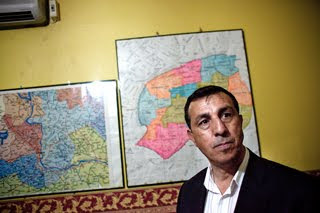 Abdullah Demirbaş is the mayor of Suriçi, a district of Diyarbakır. With more than 600,000 inhabitants, many of them war refugees, Diyarbakır is the political and cultural center of Turkey’s troubled southeastern provinces. The district comprises the entirety of the old walled city; hence its name in Turkish, Suriçi, which translates literally as intra muros. Today, the middle classes have all but left the old town. The vast majority of the district’s residents are recent immigrants from the countryside with few or no skills for the urban job market. Elderly women in particular speak only Kurdish, and the dirt-strewn alleyways resound with the rural dialects of Kurmanchi and Zazaki. The space for Kurdish politics in Turkey has always been constricted by an unsympathetic state and zealous judges who seek to ban every party that explicitly refers to Kurdish identity. The space is also contested by the more maximalist PKK and its supporters and by radical Islamist groupings such as the Kurdish Hizbullah. DTP mayors are often torn between the realities of urban politics in Turkey and the nationalist demands of the PKK. Myriads of court cases are brought against them, often by the Ministry of Interior, and the central state skimps on public services in their districts. Yet many also succeed in carving out spaces of resistance, where they establish and make visible a distinctly Kurdish and left-wing political discourse. Such is the case with the newly opened Mehmet Uzun Library, named after the leading Kurdish contemporary novelist. Abdullah Demirbaş and Osman Baydemir, mayor of metropolitan Diyarbakır, are two of the most prominent of these officials. Demirbaş was also the first mayor to introduce Kurdish as a formal working language of the municipal administration, honoring the inhabitants who speak little or no Turkish. He had tourist brochures published in Kurdish, as well as in Armenian, Syriac and Arabic. Because of these bold steps, he was deposed after an Interior Ministry inquiry in 2008. He was, however, reelected in April 2009. The cases against him have not abated and once again, he faces removal from office, and even imprisonment for his project of “multilingual municipality services” and support for the advancement of Kurdish culture. For the full piece, click here. For an earlier profile of Demirbas by Meline Toumani that ran in the New York Times in February 2008, click here.